These days, many homeowners and businesses turn to sump pump repair to help keep their basements dry. If you have a basement that floods regularly (whether you’re below the water table level, reside in a rainy area, or live near a body of water), a sump pump can remove accumulated water and direct it away from your home to help keep it dry. Make sure it’s plugged in. This may seem like a no-brainer, but we’ve heard many stories about homeowners and businesses having trouble with their sump pump when it was simply not plugged in. Manually lift the water float to make sure your sump pump kicks on. If it does, you can rest easy that when water collects, it will be discarded. 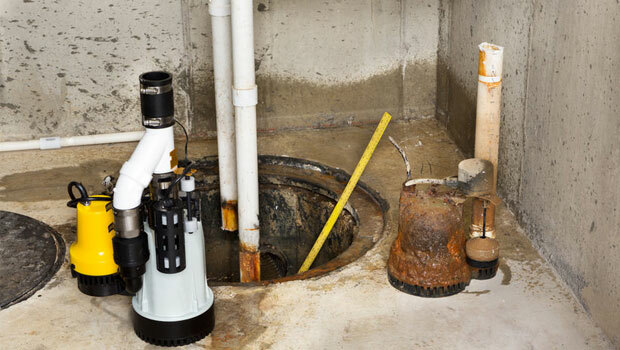 If your sump pump is more than seven years old, consider replacing it with a newer model. At Timothy Off, we suggest performing these steps every three months to keep your basement dry. We also recommend investing in a battery backup for your sump pump. This way, if a severe storm knocks out the power to your home or building, your sump pump can use the power from the battery to continue to remove water. Often times, insurance policies will cover water damage if your sump pump fails mechanically, but they won’t cover water damage if your sump pump simply stops working because of a power outage. If you have any other questions about commercial and residential sump pumps or would like more information about them, contact us today.